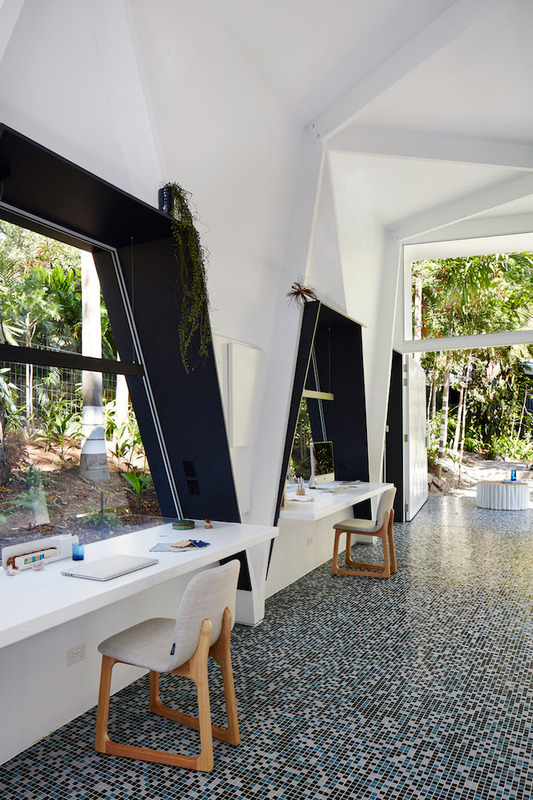 Architects Angus Munro and Katie Hawgood from Marc&Co created this studio office for interior styling firm Indigo Jungle, located in a secluded subtropical garden of Brisbane, Australia. Inspired by the concept of a shack, the focus of the studio design was to create a retreat that merges seamlessly with the landscape. 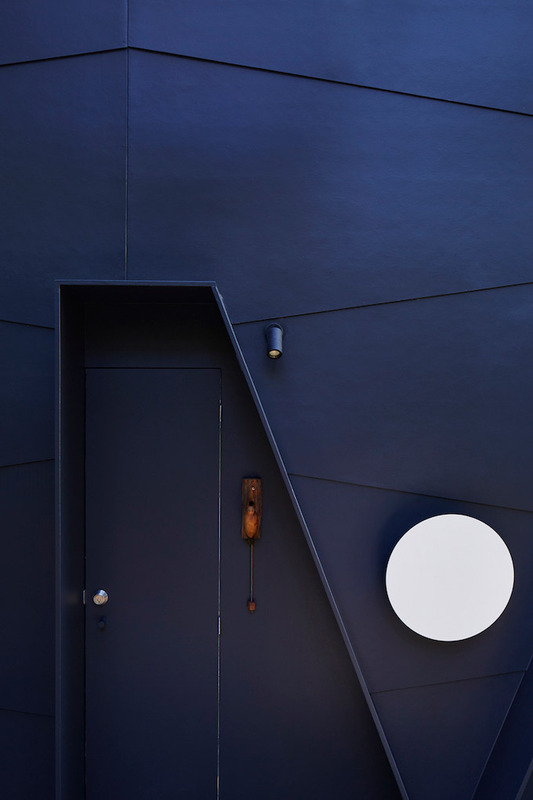 The dark exterior, features lean, zig-zag angles that is reflected throughout the space. 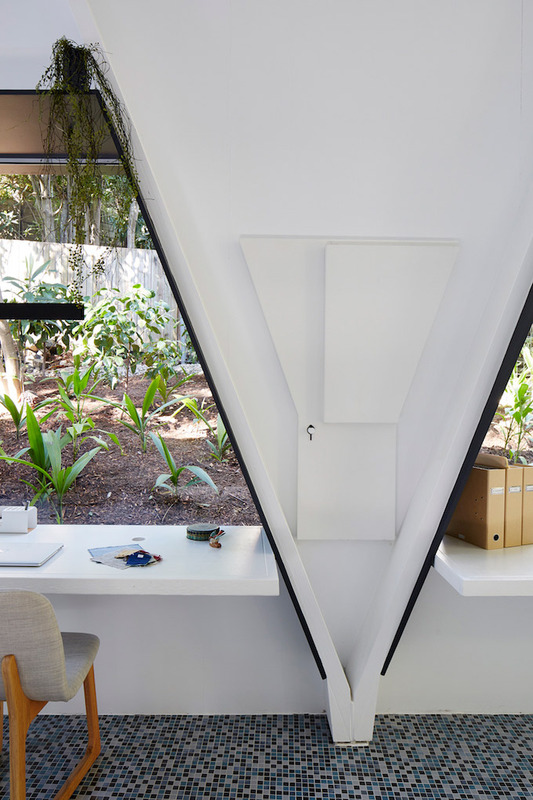 Inside, the all white studio quickly captures the visitors attention upward toward the exposed zig-zag frames. 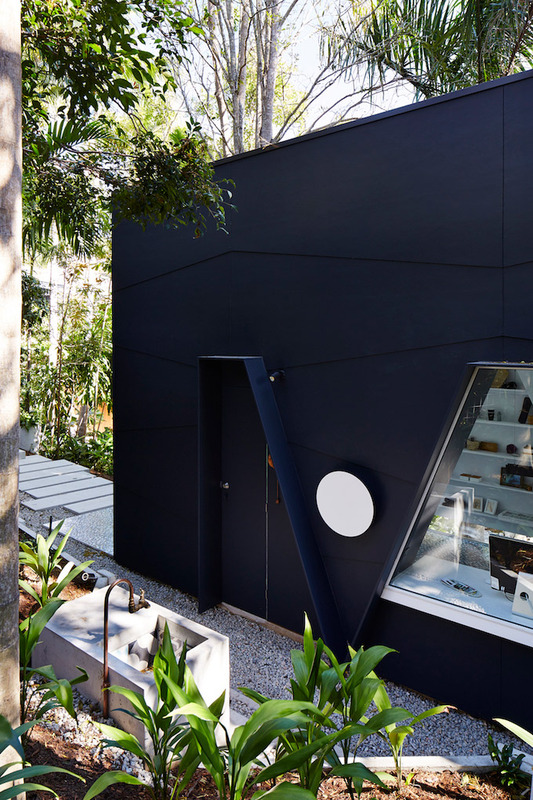 The multitude of windows, positioned both high and low offers differing views of the sun-filled garden and a significant amount of natural light to the space. 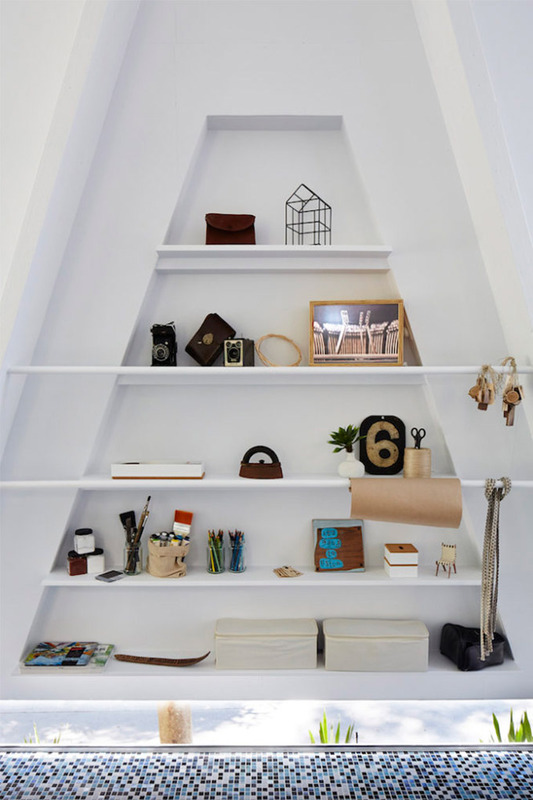 The studio is intentionally lofty and polished to serve the creative pursuits of the interior stylists within the utilitarian space. 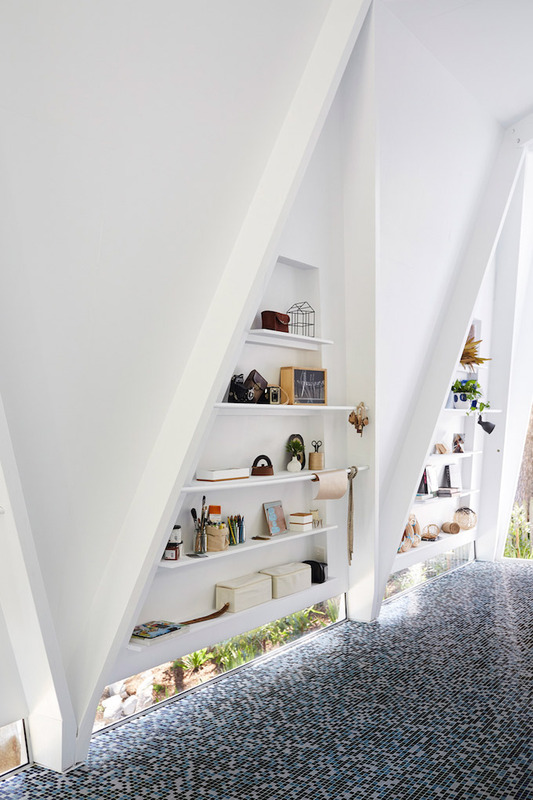 Last but certainly not least, the mosaic floors, introduce not only a graphic element, but also add a subtle extension of the studio’s environment. 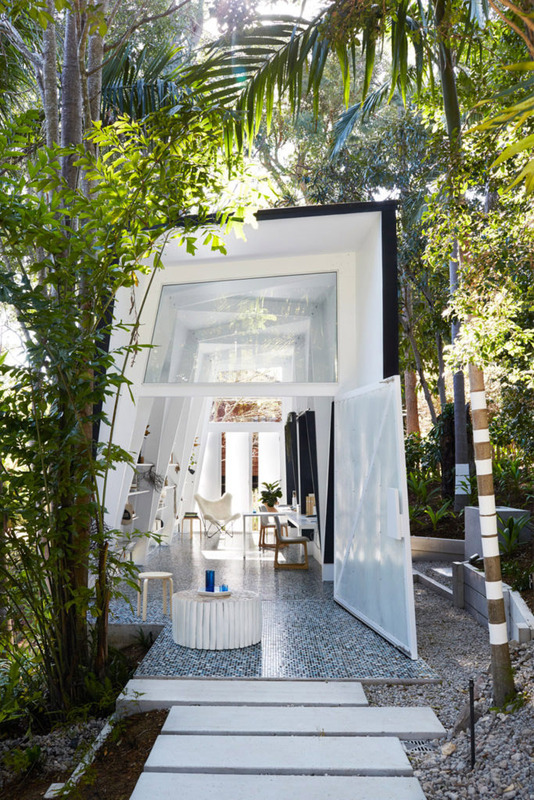 The result is a flawless studio office that blends effortlessly into its surroundings. See more of the space below. —Find more design inspiration here.